Be sure to stop by and comment. Leave your contact information to be entered into a drawing. After the tour is complete, one lucky winner will receive a signed autograph paperback copy (if US resident). 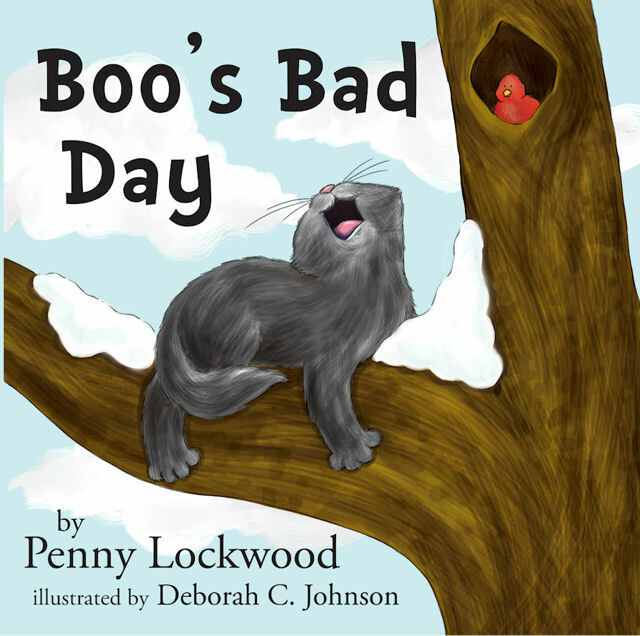 If the winner is outside the U.S., a PDF copy of Boo's Bad Day will be sent in lieu of a print copy. All you have to do is visit the participating authors websites/blogs and locate the hidden christmas tree in each of their sites. Links will be given on Monday, July 9. Begins on July 9 and ends July 23...no exceptions. 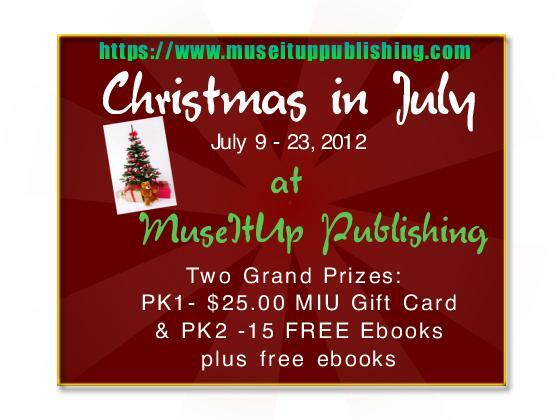 MuseItUp wants to thank everyone who continues to support their authors by adding a little something to say THANK YOU. Everyone who participates will walk away with a prize. Located in the Muse bookstore (only on July 9, so don't start searching now) are 10 christmas trees. Find one of them and you win that ebook. Only one free THANK YOU ebook per person. So if you want to locate all ten and pick and choose which ebook to win, go right ahead. Send the title of your free ebook to: publisher AT museituppublishing DOT com and they will send you your prize at the end of the month. CHRISTMAS IN JULY BLOG FEST! Please check out my blog during the month of July. All month long, I will be featuring authors who have penned stories with Christmas themes. You will find everything from children's books to adult fiction. There will be lots of prizes for folks who stop to comment and leave their contact information. Our first winner of Beepy's Christmas Wish, by Deb Hockenberry, is Susanne Drasic! Lady-in-Waiting is releasing in November and Mirror,Mirror will be released in December. 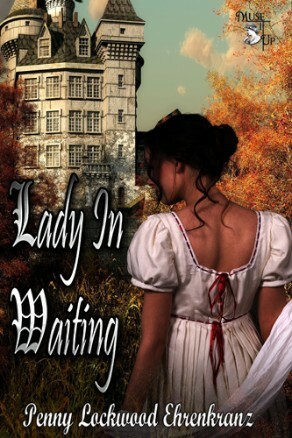 Lady-in-Waiting is an historical romance set in the late medieval period. 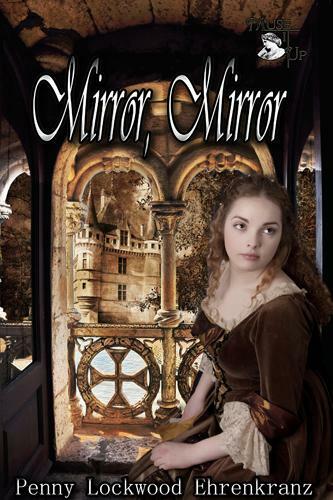 Mirror, Mirror is set in current time, but through a magical mirror, my main character, Lindsey Baker, is thrown back to the fifteen century. 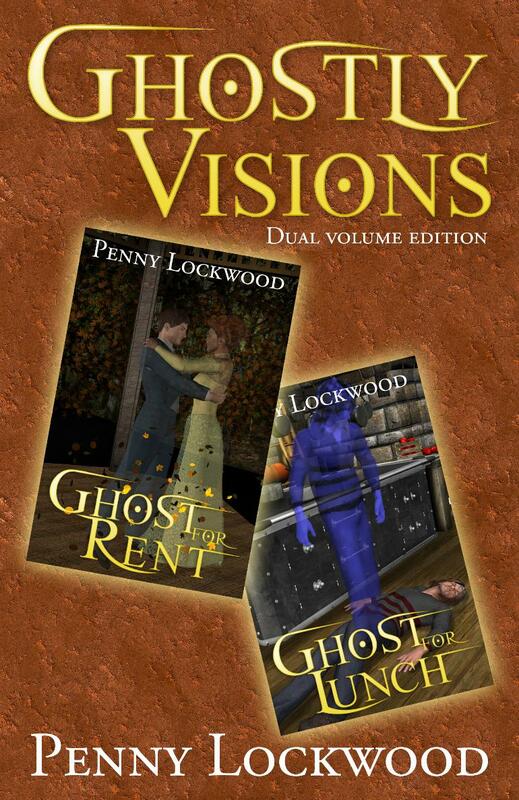 Both of these eBooks deal with a similar time period and are being released within a month of each other, so I've chosen to promote both together. Since each of the books are between five to fifteen thousand words, the price is $2.50 for the download, and they are available in a number of formats, including prc, html, and pdf. The bookstore is located at https://museituppublishing.com/bookstore2/ and while you're there, be sure to check out all the other fabulous books Muse has to offer. During the tour, I will be collecting names of everyone who comments (including anyone who comments here today). At the end of the tour, all the names will be put into a hat and I will chose two winners. One commenter will receive a copy of Lady-in-Waiting and the other a copy of Mirror, Mirror. Be sure to leave your contact information. Below is a list of all my blog stops. I hope you find time to visit each of them and do leave a comment. Something different will be presented at each stop. You will learn more about me, about my books, my characters, and about the Renaissance and medieval periods. I look forward to seeing you all during the tour. Check out these great blogs all of whom are hosting me during the virtual tour for my contemporary romance, Love Delivery. There will be one winner at each blog stop. If you leave a comment and a contact email, you'll be entered into a drawing to win a copy of my short romance, "A Midsummer's Knight." A grand prize winner will be drawn at the end of the tour from all the entries. That lucky winner will receive a copy of Love Delivery, so be sure to stop by each of the blogs and leave a comment. My virtual tour for A Past and A Future was hosted by the following blogs. 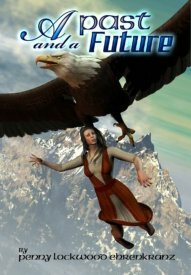 One lucky winner from each blog stop received a copy of a short story, either "Crash Landing," a science fiction romance, or "Recovery," a paranormal mystery.